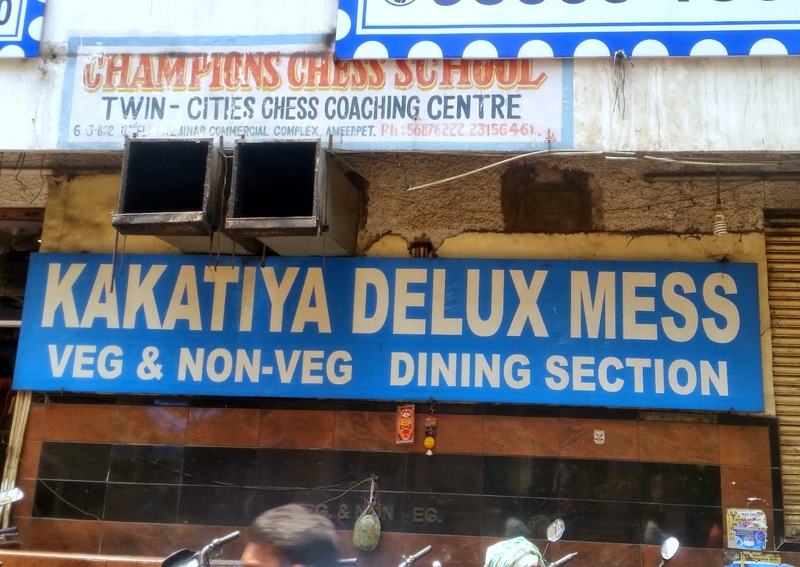 The most popular destination for Andhra food which is famous all over Hyderabad is Kakatiya Deluxe Mess in Ameerpet. 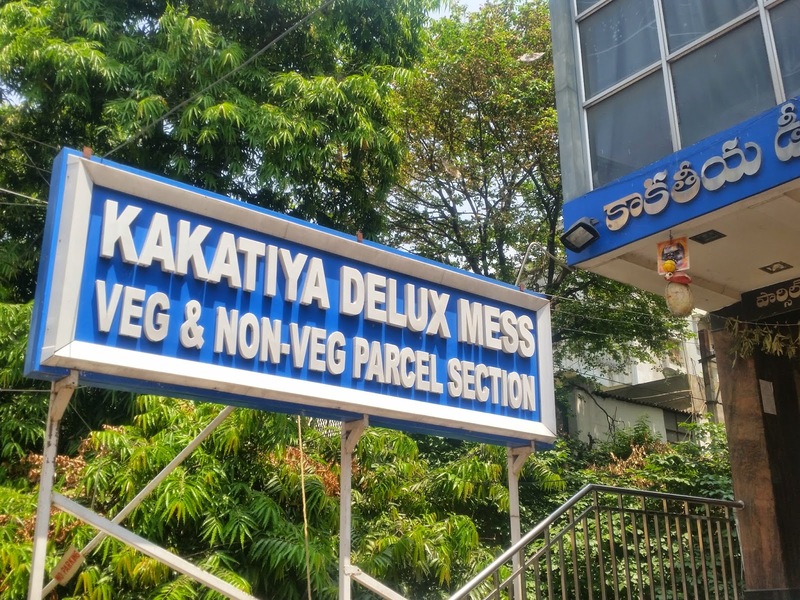 Located in the lane beside JC Brothers near Ameerpet X Roads, the mess also has a separate parcel centre across the road. 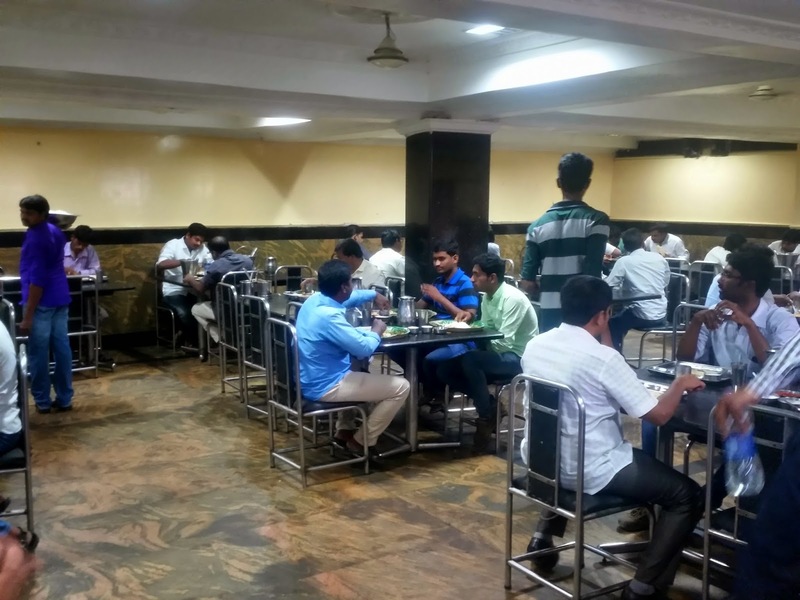 The dining section, which is in the basement of a building, is open from 12 Noon, and from the word go there is a beeline of customers for their vegetarian meals (Rs 80). They have the familiar coupon system like many messes – you have to prepay all your meals. 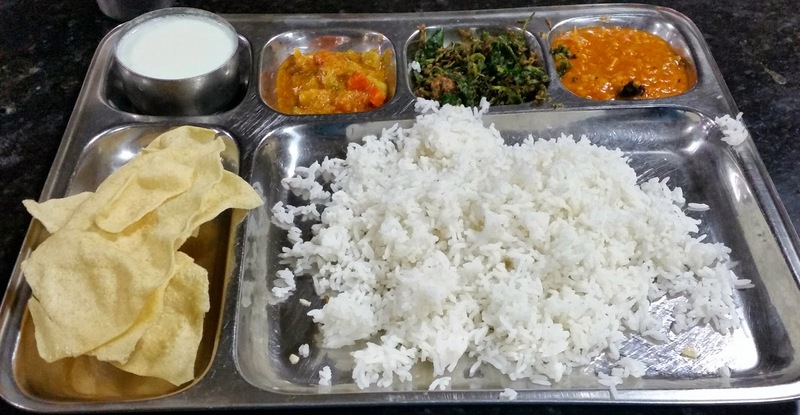 The meal is quite a spread with chutney, dal, sambar, two vegetables, papad and curd. The podi and pickles available there are not to be missed. Normally even the non-vegetarian will go for a veg meal, accompanied by omelet or egg curry (Rs 20). 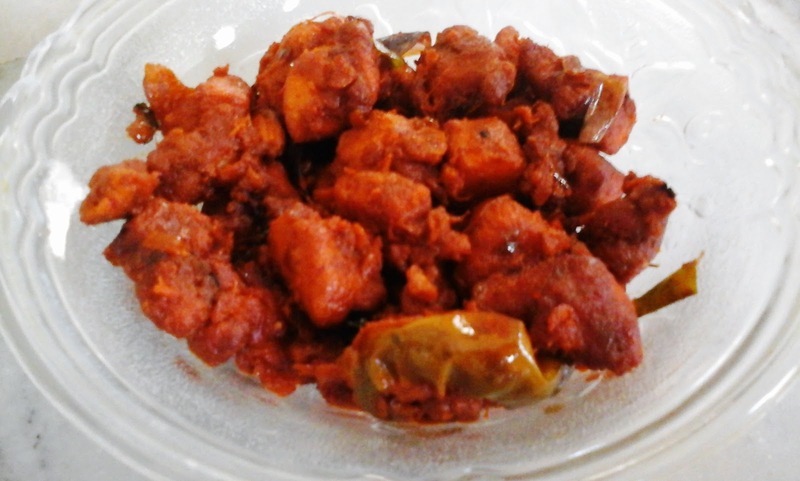 Some prefer their signature Chicken Fry (Rs 120) or Chicken Curry (Rs 110). A small point – if you want, you can exchange the curd from the meal for their butter milk which is one of the best. 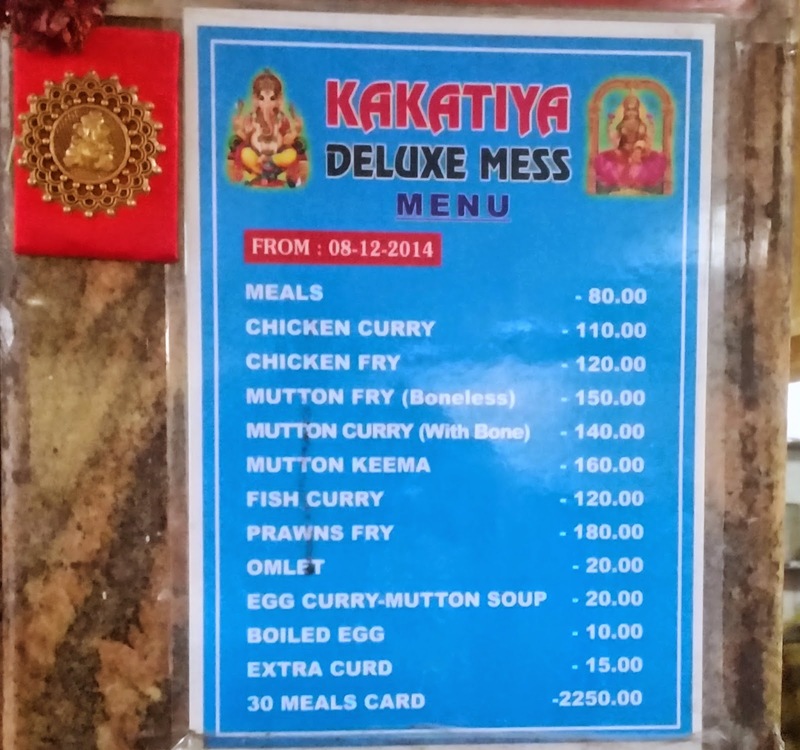 The best part about the meals at Kakatiya Mess is the use of spices. Though chilli powder or paste is widely used in the preparations, the taste of chilli is never overpowering, it blends so well with the other masalas. This is the major differentiator between food at Kakatiya and some run of the mill messes. However the food is still very spicy, so if you are finicky about drinking the water served there, remember to carry your packaged water as you go in – you will definitely need it. Service is awfully fast, and you are expected to vacate the place as soon as you finish the meal. Also, be prepared to withstand long hard stares from waiting crowd during lunch if you delay in finishing your meal! During dinner, the crowd is much better. For people particular about ambience, I would suggest their Veg/Non-veg Parcel Section across the road. As you go in, you get the aroma of Andhra spices and soon you are in front of the food counters. To the extremely right is the Biryani counter, which serves Chicken or Mutton Fry Biryani as well as the Special Prawn Biryani, which is one of their signature items. The biryani rice (which actually is Telugu pulao) is flavorful with lots of cinnamon pieces, bay leaves and jaitri. They keep the non-veg fry with masala separately and add the pulao rice on top of the pieces (aptly known as Fry Biryani). The masala has the typical flavor of Andhra cuisine and adds life to the biryani. The salan and the raita to go with the biryani was well prepared unlike what is prevalent in local joints which serve diluted curd water for raita. 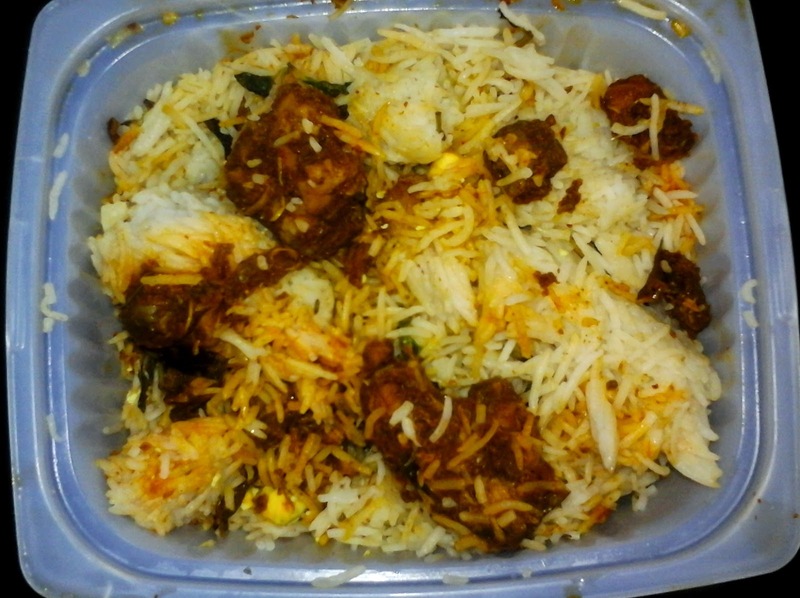 The plain biryani rice is also very popular here. I often buy the biryani rice and combine it with my favorite curry. 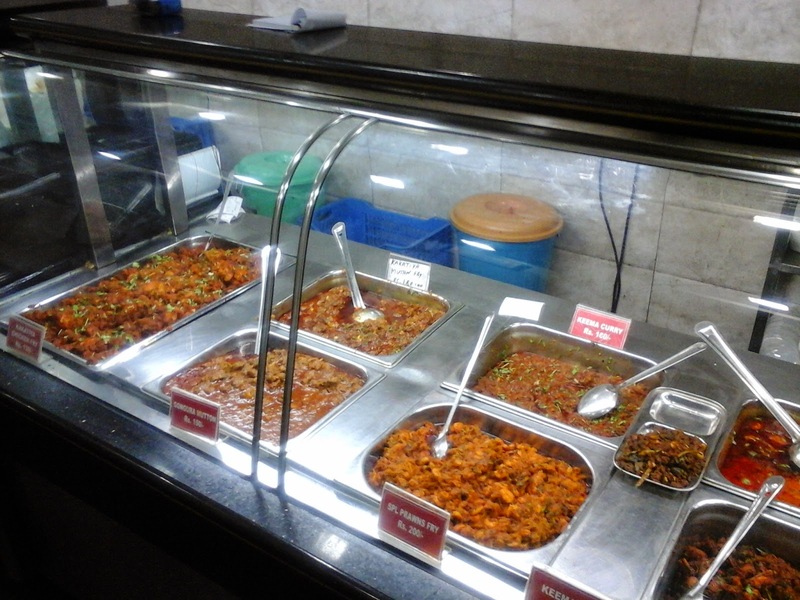 The front counter has the Veg meals (carriage - Rs 100) lined up on top. Below you see many chicken, mutton, fish and crab dishes displayed. A few favorites of mine are the Leg Roast, Chicken Lollypop, Crab Fry, Natu Kodi Pulusu or country chicken curry, Kheema Curry and Mutton Roast. In each item the balance of the spices used is just perfect. The leg roasts are marinated in local masala and fried. These are extremely well spiced and served with an accompaniment of curry leaves and sauteed green chillies. You need to have a penchant for hot food if you want to enjoy this, but the taste is really delicious. An ideal accompaniment with hard drinks. 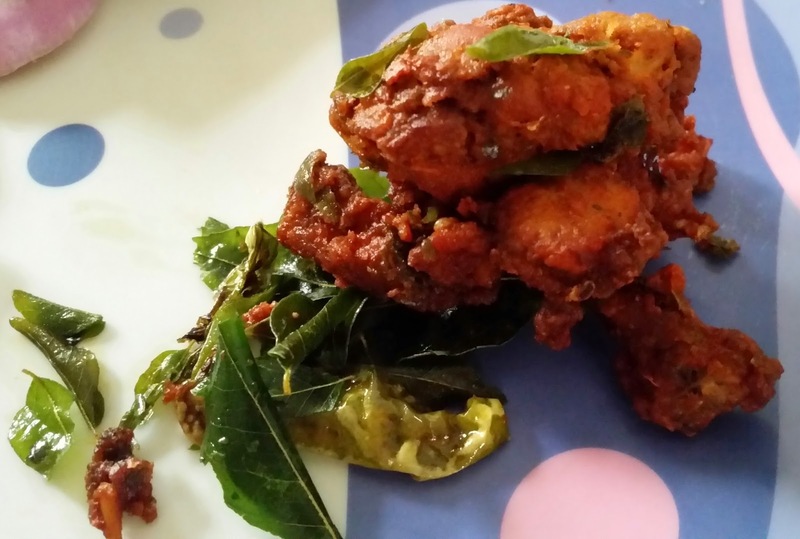 The prawn /crab / korameenu (fish) fry is served in a dry masala of onion, tomatoes, green chillies and curry leaves. The seafood is always fresh and the preparation spicy and perfect. 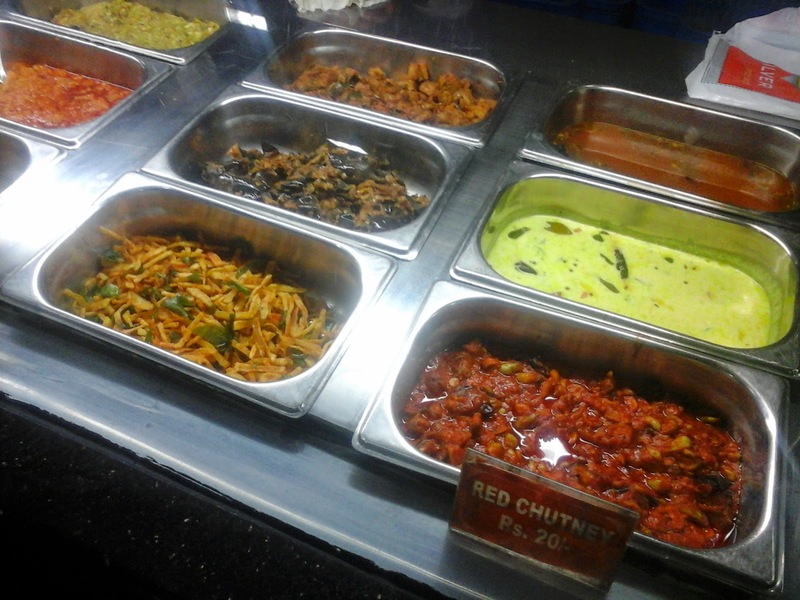 Next to the non-veg counter there is a veg counter which has a few varieties of pappu (daal), vegetables and chutneys. 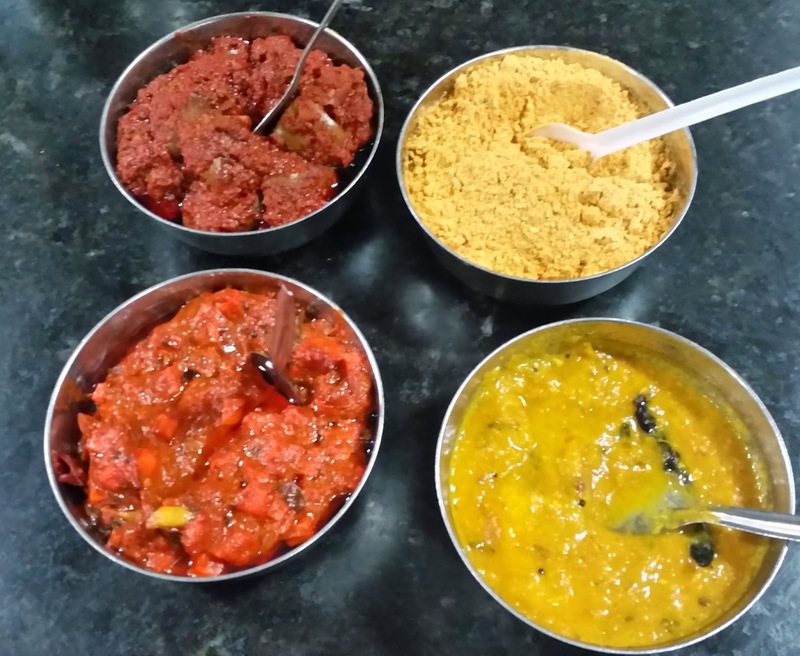 The chutneys here are delightful – I especially like their spicy cabbage chutney or a tomato and garlic chutney with diced carrot in it. 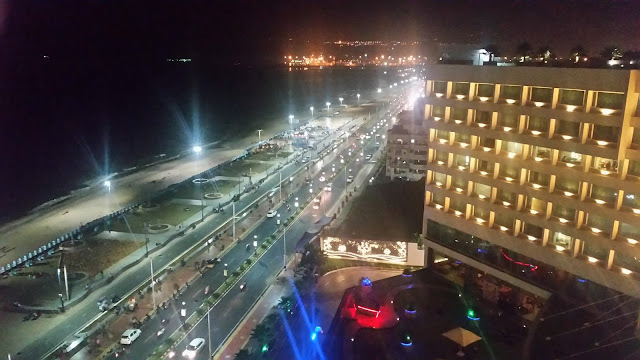 This is not the place for the ambience conscious, but in the same breath I say that it is a place not to be missed by any Andhra food lover as well as lovers of non-veg food. The variety of fare that they offer is simply amazing. Lane next to JC Brothers.